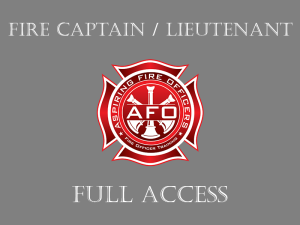 Members receive unlimited access for 4-months to ALL content within the fire department promotional Oral Interview section including our videos “Understanding Raters” and “Oral Interviews”. These videos will explain how raters impact your score and how to obtain the highest score possible during your oral interview. 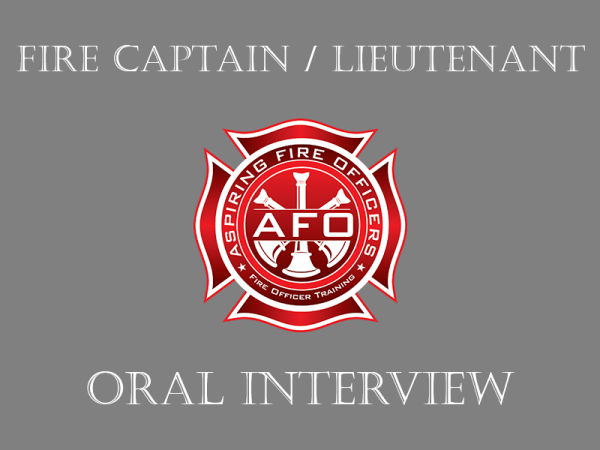 Members will find that this section includes over 75-pages of high-level fire department promotional oral interview questions and answers from around the country. Each question is answered completely and thoroughly, covering all of the key components of each question. Our members can use our responses to each question to develop their own personalized answers. 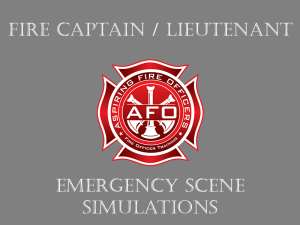 As firefighters, we pride ourselves on being prepared for any situation. They should view the fire department promotional oral interview no differently. Access to the numerous questions and answers provided in this section will ensure that our members will go into their oral interview prepared to respond to any question they encounter. While the questions presented during the interview may vary (our clients often tell us that many are verbatim), the questions our members have access to cover virtually every topic typically encountered during an oral interview. 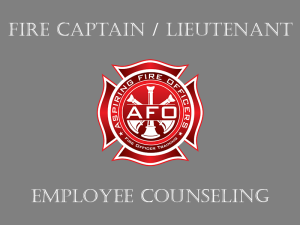 These questions cover a wide range of topics including; personal questions, your ability to manage, customer service, fire prevention, and job knowledge. Each of these topics is explored in great detail and in a variety of ways. This repetition and variety will help you understand each topic and develop a winning response. 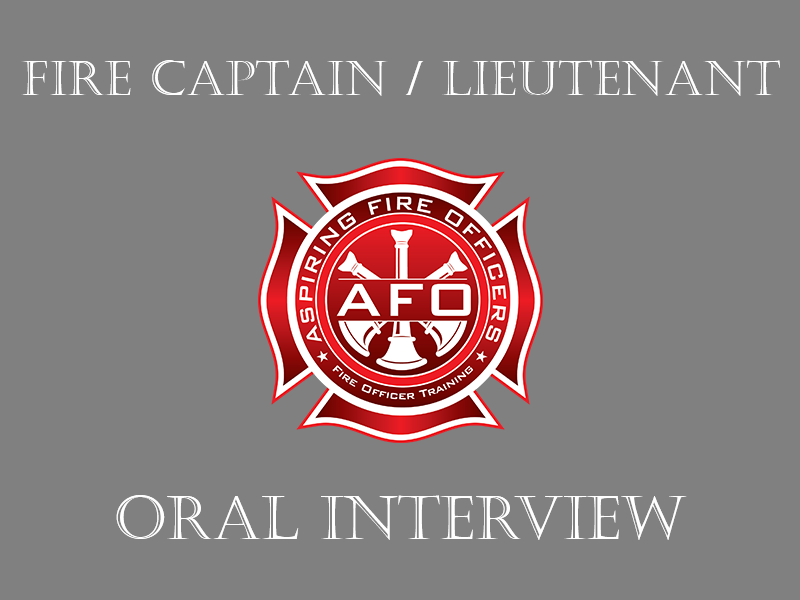 The material in this section allows our members to not be “surprised” by any question during their fire department promotional interview. The topics that are covered and the responses that we provide allow our members to develop their own personal responses, utilizing their own thoughts, experiences and ideas. This learning allows members to be prepared to respond to questions that they have thought about and even those they haven’t. This also prepares our members to respond with confidence and increases their credibility.